Color/Appearance: Heartwood color can range from a olive to a dark greenish brown to almost black, sometimes with a reddish hue. The color tends to darken with age, especially upon exposure to light. 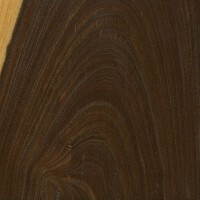 Color of genuine Lignum Vitae tends to be darker than that of Argentine Lignum Vitae. Grain/Texture: Grain is interlocked, sometimes severely so. Has a very fine texture and an oily feel. Bare wood can be polished to a very fine luster due to its high natural oil content. Rot Resistance: Lignum Vitae is reported to be very durable for outdoor use and is also very resistant to insect attack. 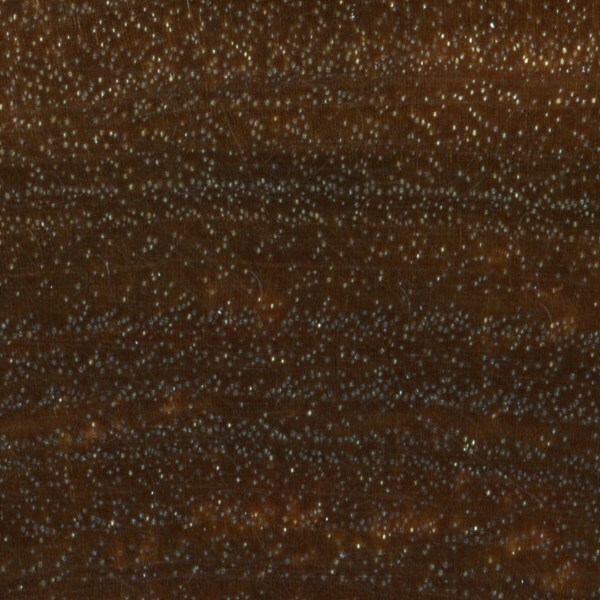 Workability: Lignum Vitae has a tendency to skip over-top jointer cutters on account of its extremely high density, and very light passes are recommended. 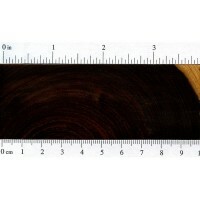 Lignum Vitae will also dull cutters, and overall is considered quite difficult to work. Also, due to its high oil content and density, it’s very difficult to get a strong and reliable glue joint. 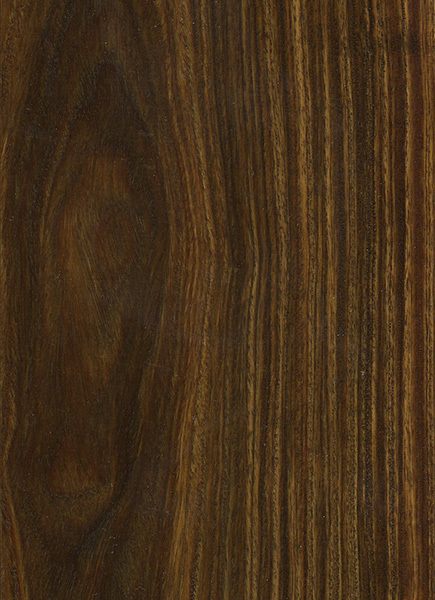 However, Lignum Vitae is an exceptional wood for turning on the lathe, and finishes well. Odor: Lignum Vitae has a mild, perfume-like fragrance. Allergies/Toxicity: Lignum Vitae has been reported to cause skin irritation. See the articles Wood Allergies and Toxicity and Wood Dust Safety for more information. Pricing/Availability: Trade of Lignum Vitae is restricted in CITES Appendix II, and prices for genuine Lignum Vitae are accordingly very high: and usually from questionable sources. 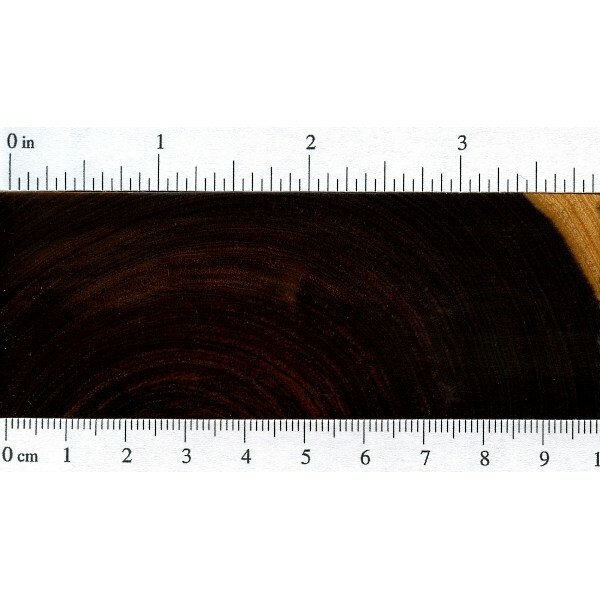 Lignum Vitae is typically sold by the pound, (instead of the more common board-foot measurement), and since it is the heaviest wood in the world, this also makes it considerably expensive. 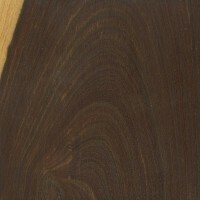 Sustainability: This wood species is in CITES Appendix II, and is on the IUCN Red List. It is listed as endangered because populations are severely reduced and exploitation for both its wood and resin extracts have continued for hundreds of years. Common Uses: Tool handles, mallet heads, bearings, bushings, pulley wheels, and turned objects. Comments: Lignum Vitae is regarded by most to be both the heaviest and hardest wood in the world. Its durability in submerged or ground-contact applications is also exceptional. Lignum Vitae has been used for propeller shaft bearings on ships, and its natural oils provide self-lubrication that gives the wood excellent wear resistance. Unfortunately, Lignum Vitae has been exploited to the brink of extinction, and is now an endangered species. Verawood—a related wood species with similar working properties and characteristics—is commonly used as a substitute, and is sometimes called Argentine Lignum Vitae. Yet even this species (Bulnesia sarmientoi) has been included in CITES Appendix III, though it is not as restrictive as Appendix II where Lignum Vitae is found. Though Verawood is in a different Genus than Lignum Vitae, (Bulnesia and Guaiacum, respectively) both genera are biologically classified in the same Family: Zygophyllaceae. 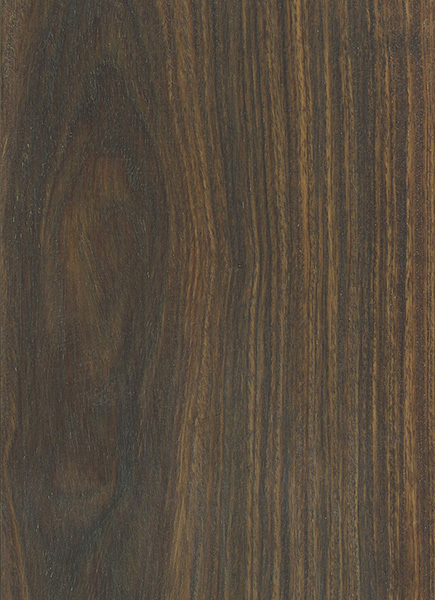 Both woods are extremely hard, heavy, oily, and have a feathered grain pattern with a distinct brownish olive color. The name Lignum Vitae is Latin, and means tree of life, or wood of life, which is derived from the tree’s many medicinal uses. Scans/Pictures: For the endgrain zoom, I’ve slightly modified the brightness of the image to help show the details of the pores. My favorite wood-carving mallet is made of Lignum Vitae. I love the feel of it the weight and balance of it is perfect for what I do. When I bought it 40 years ago I was told to put it in water occassionally to keep it in good shape but I never did, and it’s fine the way it is. Worked with Lignum vitae at Chatham Dockyard on warship propellor thrust blocks / bearings.I believe policeman’s truncheons were once made of it. , also seem to remember staying at a chain hotel (Amadeus ) ? at two locations where a piece of Lignum vitae was used as a bar floor feature.Would not have thought too many guests would have known what they were looking at. This wood was used as rail road ties here in Costa Rica. Hand cut with an axe. The better it was cut the more the rail company paid. My 85 year old neighbor and friend still has the axes he used to cut ties with. 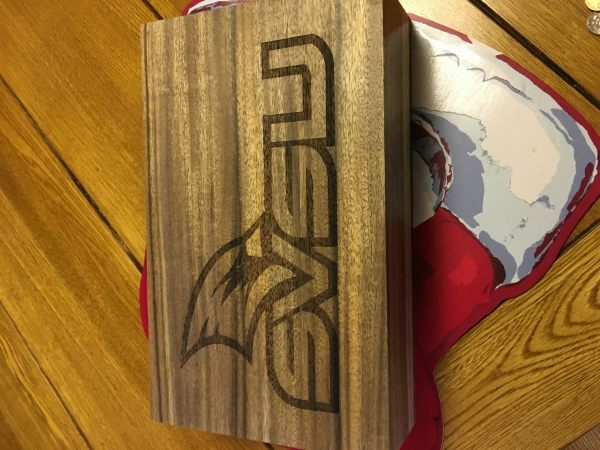 Is the oil in this wood foodsafe for cutting boards? Wood has been banned by many countries for food blocks because bacteria has been found to survive in the cracks and knife scores even after submergence cleaning. White plastic is the alternative. I LOVE this material for making tools in restoring silver because of its density and tight grain. I put a 1200-grit finish on the wood ends and use them to remove dents in trays because it doesn’t stretch silver the way steel does. I have a 2x2x8 inch pices of this wood it was given to me from a friend. I make tobacco pipes, I’m concerned about the the fumes or gas that could occurre from the natural oils in wood when the tobacco is burning in the smoking chamber. Would anyone know if this wood has ever been used for a Tobacco Pipe. Or if this wood was used in food or water containers application. In Paraguay they use it for cups for their national drink called Tereré. Google it, you’ll see. They call it Palo Santo there. My father has a load of it in his shed from the 1970’s. Every now and again he will make a pan handle out of a bit. I had not idea it was so sought after. 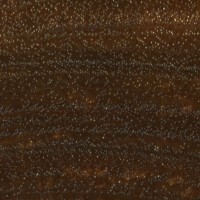 Lignum Vitae is also used in leather working, specifically polishing the edges of straps and belts. that one could find wood like this today. JC, first off, I’d just use Argentine Lignum Vitae, listed as “Verawood” on this site. It’s easier to obtain, costs less, and the color tends to be greener (in my experience anyway). Secondly, the color change seems to be facilitated with no finish on the wood. Usually butcher blocks have minimal finishing as it is, so you should be okay here. I’d be interested to see if mineral oil would even penetrate a wood as oily as Lignum. True Lignum Vitae will still turn green even after you put polish on it. (if you can get it to stick to it) I have made a few rings out of it and finished it with CA glue, but it really didn’t need it as it can be sanded to a high shine. If you want to get good at sharpening your tools work with this stuff…..
My verawood matches your picture, it is nothing like lignum vitae in my experience. It was sold to me as lignum vitae; a hard lesson. It is very easy to tell them apart. The Verawood endgrain runs mirror like through the whole piece. strong, but they are equally as beautiful. I have a supported spindle with lignum on the tip and an insert in the support bowl. It spins really well and for a long time. It helps the tip NOT to become blunt and slow down. I am an apprentice saddle maker in the U.S. and just received some tools from a master saddler, David Boot from England. 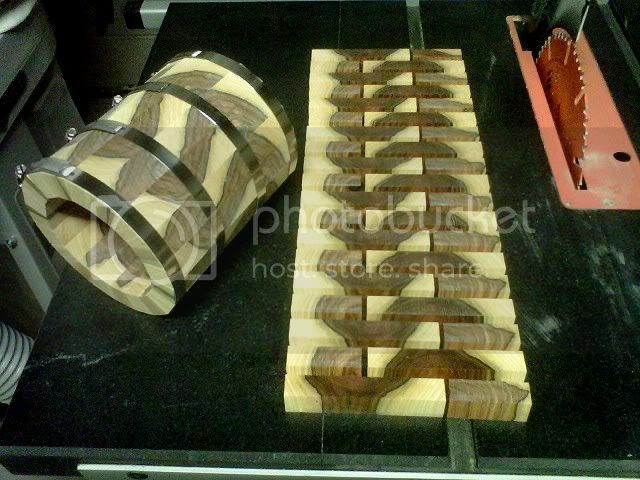 Some of the tools are made from lignum vitae, including a masher and loop blocks. Both of the types of tools are meant for extreme force, and are not only extremely strong, but they are equally as beautiful. I have a set of crown green bowls made from lignum vitae. Far better to play with than the more widely used plastic varieties. Some older hydro-turbines used journal bearings made made from this material – for the same reasons as ship’s propellers. I’ve also understand that the block and tackle equipment in many older ships had bearings of Lignum Vitae. Cool stuff! I have a Lignum Vitae cane that was given to my Great Grandfather at the opening of the Panama canal, this wood was apparently used in the construction of the canal. late father had set of highland bagpipes made from this wood in 1925 by a maker in otago n.z. wood came from propeller bearings in old ship. beautifull soft mellow sound commented on by several piping judges over the years.